On Sunday morning, January 25, 2009, Rev. Tony Ponticello addressed the congregation at the Community Miracles Center in San Francisco. What follows is a lightly edited transcription of that lecture. I’ve been talking to a lot of people this week. Many people have the idea that we have had a major shift in perception in the collective consciousness of our country, and possibly even the world. Generally, in A Course In Miracles, we think of a miracle as a shift in perception. Those precise words don’t actually exist anywhere in ACIM. However, ACIM does talk about perception shifting and shifts in perception in various places, so it is inferred that a miracle is a shift in perception. I do think it is important to remember, that there are actually two ways you can shift your perception. You can shift from an egoic perception to a Holy Spirit guided perception and thus have a miracle. However, you can also shift from a Holy Spirit perception to an egoic perception, and that certainly would not be a miracle. A Course In Miracles actually talks about both of these shifts. In fact, ACIM talks about the shifts in perception that the ego has from one illusion to another which would be a third type of shift. Just saying “shift in perception” doesn’t necessarily qualify as a miracle, one has to be quite clear what kind of perception you are shifting from and what kind of perception you are shifting to. If we are making a shift from fear to hope, I definitely think we can say that we are having a miracle, and of course ACIM talks about shifting from fear to hope. On Tuesday, January 20th, at about 12 noon, Eastern Standard Time, about nine in the morning Pacific Time, Barack Obama became the 44th President of the United States of America. A little sidebar here, he actually isn’t the 44th President of the United States. There have not been 44 people who have been President of the United States of America. There have only been 43. The reason why there is this little number glitch is because Grover Cleveland, who was a Democrat, was both the 22nd President of the United States Of America – sworn in in 1885 – and he was also the 24th President of the United States – sworn in in 1893. In between his two terms was a Republican who was elected for four years. That was President Benjamin Harrison. He was sworn in in 1889 becoming the 23rd President. Since Grover Cleveland was both the 22nd and the 24th, there haven’t been 44 Presidents even though we call Barack Obama the 44th President. Aren’t you glad you know that now? That’s the information you’ve been waiting to hear. Did we shift from fear to hope? A lot of people think we did. President Obama in his address said, “On this day, we gather because we have chosen hope over fear, unity of purpose over conflict and discord.” He claimed that was what was going on. We were shifting from fear to hope. He said that early in his talk. This inaugural address was significant because more people watched and heard that speech than have ever watched or heard any person give a speech in the history of mankind. It’s hard to know precisely how many people all over the world watched or heard Barack Obama’s inaugural address. Remember many of them heard it hours later because of time zone differences. Many more heard it, maybe a day or two later, because it was all over the internet for you to listen to. People are probably still watching it. Also, though you might be able to estimate how many television sets were tuned into the speech, you have to remember that many people gathered together to watch the inauguration on a single television set. I watched it on one television set, but eight other people were watching it with me, and there were thousands of public gatherings all over this country and in other countries as well. In San Francisco there was a big gathering down at the Civic Center. Thousands of people were there at seven in the morning to stand for many hours. A friend of mine was there. He went down to the Civic Center with another friend and they watched it on a big screen, outdoor monitor. It is estimated that one billion people, maybe even more, listened to Barack Obama give his inaugural address that was the key point of the ceremony. As I said, that was more people than have ever listened to anybody give a single speech in the history of mankind. Barack Obama spoke for 19 minutes. That’s just about as long as we speak here at the Community Miracles Center. He speaks a little slower than I usually speak. His speech was only 2,396 words. If I speak for 20 minutes it is probably more like 4,000 words. He has a more measured pace in his speech. So, it was not as long as one of my sermons. He said many things, and I thought he said many things that actually resonated well for us A Course In Miracles students. He said, “On this day, we come to proclaim an end to the petty grievances and false promises, the recriminations and worn out dogmas, that for far too long have strangled our politics.” I really like the fact he said that we have to let go of grievances, because A Course In Miracles focuses a lot on letting go of grievances. President Obama using that word precisely, “grievances” was great. A Course In Miracles uses the word “grievances” so often I wonder if we really ever think about what the word means. These common words – I like to look them up in the dictionary to see what Webster’s has to say. So, I looked up the word “grievance” in the dictionary. There are some synonyms: anger, annoyance, displeasure. When you get right to the definition it does say something interesting. “... a cause of uneasiness or distress felt to afford rightful reason for reproach, complaint, or resistance.” There are two parts of that definition. Yes, there is something that you are annoyed about, but in order for it really to be a grievance you not only have to have the annoyance, but then you have to believe that this annoyance gives you a right to express it in some way, shape, or form in order to extract some kind of retribution. Grievances are expressed, there aren’t just held and not acted out. A grievance is when you feel you have been wronged and you have a right to talk about it, put it out there and to object in some kind of way, a “... reproach, complaint, or resistance.” I think it is important for us to realize this. ACIM tells us that we may have many things that annoy us. Don’t hold onto them. Let them go. Don’t make them be a justification for some expression of anger or annoyance. The expression is what makes it a grievance. In A Course In Miracles we have, “My grievances hide the light of the world in me. – No one can look upon what your grievances conceal.” (WkBk.Or.Ed.69) When we hold onto grievances, and especially when we express them, what we are actually doing is blocking the perception of the Holy Spirit that we could be having. We’re blocking the holy perception, the divine perception, or the correct perception. If we are to shift our perception we’re going to have to let go of our grievances. Grievances take all kinds of forms. We frequently have grievances with the people we are in relationship with. We can even have grievances against ourselves. We can have grievances with the world and the way it is set up. We can have grievances with our culture, our society, with the government, and with the church. We can have grievances with just about anything and everything in the world. We can feel that we have a rightful reason to express a complaint. We complain about the state of the economy. We complain about the way the government works. What ACIM is calling us to do is to let go of these complaints. What Barack Obama called us to do, last Tuesday, was to realize how petty these ideas are, how small they are, and that it was a time to move off of these petty grievances. That’s the shift of perception we all need. We need to shift off of grievances. It was interesting because Obama received great praise on how well he handled his first few days after he was inaugurated, how much work he actually got done in those first few days. It was in the second day that he signed an executive order to close the prison at Guantanamo Bay, Cuba. He also is going to close a number of other smaller prisons that are CIA related in other countries. I thought it was amusing that he did so much work in the first few days, because during the Democratic nomination campaign Hillary Clinton ran on the platform that she would be ready to lead from day one. Now, what we’ve seen is that Barack Obama certainly seemed able to lead from day one. I also thought it was interesting that Hillary didn’t seem to hold any grievance about losing the nomination election. She doesn’t seem to have any. She gracefully accepted the Secretary of State position. She has really embraced it. She has been very dynamic about it. She got a lot of press about going into the State Department. Her opening address to the employees of the State Department received cheers and applause for the change that she seemed to call for and that she was demonstrating just by being there. Hillary let go of her grievances, let go of her idea that she may have had a reason for rightful complaint and thus has had the miracle. Now she has risen to this wonderful position of Secretary of State as well as getting a new wardrobe. I noticed that. I thought she looked great. She made the switch from just solid colored pant suits. I now saw her with something that had more of a pattern with a border on it. She’s still wearing pant suits though. She didn’t switch that much. Barack Obama also referred to Biblical scripture in his inauguration address. He said, “We remain a young nation, but in the words of Scripture, the time has come to set aside childish things. The time has come to reaffirm our enduring spirit ....” I don’t know how familiar you are with scripture but he was referring to a very famous line that is in Corinthians. Many of us who do weddings know this line because it is frequently used in weddings. It is the most common reading used in weddings. It’s a longer reading. The part he was referring to was this part, “When I was a child, I spoke like a child, thought like a child, and reasoned like a child. When I became a man, I gave up my childish ways.” (Corinthians.13.11) It is now the time for us to be adults and give up these childish ways. What is childish is holding onto these petty grievances. These petty things that we think have annoyed us and have given us a just reason to express that annoyance. We need to let them go. I like the idea about giving up childish ways. I have talked about this frequently. I think A Course In Miracles is a spiritual discipline for spiritual adults. It’s not a spiritual child’s discipline. It’s a discipline for spiritual adults for a number of reasons. The main reason is this religion, or spiritual discipline, gives us no guidance for behavior. It gives us no guidance about what to eat. It gives us no guidance about sexual practices, relationship practices – other than to be forgiving which isn’t really a guidance for behavior. It’s guidance on how we should think. I also like that the A Course In Miracles doesn’t tell us what to think. It actually gives us instructions on how to think. It’s not about the what. It’s not about what to do, and its not about what to think. It is all about how to think and that is why I’ve always thought that it’s a discipline for spiritual adults because when you become an adult you don’t want people telling you what to do and what to think anymore. You want to be able to make those decisions for yourself. You might want some guidance about the “hows”, but you want to be able to choose your behavior and your thoughts on your own. That’s what ACIM provides for us. That’s why I think it is a discipline for spiritual adults. It is time for us to give up our childish ways and our immature ways of being religious as well. We can now claim spiritual adulthood and choose our own behaviors and choose our own thoughts. In another place in his speech he’s talking about Americans who have come before us and he said, “They saw America as bigger than the sum of our individual ambitions; greater than all the differences of birth or wealth or faction.” He was saying that America is greater than all the sum off its parts, and, again, this is also talked about in A Course In Miracles. “The Sonship in its oneness does transcend the sum of its parts. However, this is obscured as long as any of its parts are missing.” (Tx.Or.Ed.2.101) ACIM gives us this call to join together. The more we join together the stronger we will be and the more we can accomplish. This is exactly the same sentiment that Barack Obama expressed in his inaugural address. There is great strength in us joining together. 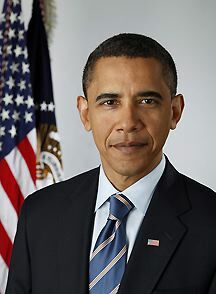 We know that as ACIM students and Barack Obama gave that message to the billion plus that listened to him last Tuesday. Has there been a shift in perception? Has something fundamentally shifted? Apparently Barack Obama thought it had because he said, “What the cynics fail to understand is that the ground has shifted beneath them.” He’s talking about the ground shifting, a real foundational shift has happened, and he’s calling all of us to recognize this. He’s calling the whole world to recognize that shift. There is a shift in perception, at least in President Obama’s perception of things. We A Course In Miracles students love to embrace the idea that perception is shifting, and I, personally, think perception is shifting. I really liked it when President Obama said this in his address. “We are a nation of Christians and Muslims, Jews and Hindus – and nonbelievers.” I thought that was significant. I have heard people make calls to all different faiths, but they usually let it rest with that. They don’t also call to the nonbelievers. I thought that was truly beautiful. As a matter of fact, that idea resonated directly with one of my favorite A Course In Miracles lines. “They come from all religions and from no religion. They are the ones who have answered. The Call is universal.” (Mn.Or.Ed.1.2) Obama is calling forth the same sentiment, the same idea, that we hear in ACIM. Teachers of God, people who make positive change in the world, come from all religions, and they come from no religion as well. If we set aside the petty grievances that we may have with other faiths, if religions can set aside the petty grievances that they have with each other and join, and also join with the non-religious people as well, then great shifts in perception can happen. Great change in the world can happen. I think this could be a personal message for us A Course In Miracles students. I’ve, again, talked about this other times. Frequently we hold onto the loftiest ideas of ACIM and forget some of the most basic ones, the most common ones. When we’re talking to other people, many of whom may be agnostics or nonbelievers, sometimes we talk about these very lofty ideas that are really hard for them to accept. I know this is true with my family. My family loves me, and I love them. When I talk to my sister, and I talk about ACIM as teaching that we’re actually manifesting the physical world that we see, that it is all a dream that our one collective mind is dreaming, I’ve lost her from the “git go.” She just thinks I’m eating the mushrooms out here in San Francisco. Those ideas are not going to play well with her. However everybody understands ideas like, “I’m studying a discipline that helps me move from fear to hope.” Everybody can understand that. Everybody can see that this is a good thing. Everyone can understand, “I’m studying a spiritual discipline that helps me see the positive in all things.” Everybody can understand that, appreciate that, and probably then support you in your study. I think everybody understands and appreciates that you are studying something that keeps you happier and makes you less stressful. It’s a very common idea, right now in our society, that it’s stress that causes disease. So, that is another way of saying I am studying something that helps me move from illness to wellness or from disease to health. Everybody will get that and appreciate it. All the religions will get it. Christians will get it. Muslims will get it. Jews will get it. Hindus will get it. Let me add a few more. Buddhists will get it. Wiccans will get it, and the nonbelievers will get it too. Everybody will understand it and appreciate it. Maybe it’s time for us to really broaden our appeal and watch how we communicate what it is we study and truly make it broad so that we don’t scare people away. Maybe if we remember that two step definition of grievances we will have additional help. It’s not that things annoy us, because that is probably going to happen regardless. It’s what we do with that annoyance. Do we think that this annoyance gives us the right to act it out? If we do that we’ve bought into the grievance. We have to let go of the idea that we have a right to complain, this right to address the grievance. It takes courage to let go of that perceived right. It takes courage to find the common denominator, to find the common denominator not only between all faiths but also the common denominator with no faith. It takes courage, especially, when times seem gloomy and bleak, and there is so much agreement out there about these bleak, lack perceptions. There’s so much agreement about the grievances that we have about the economy and about the very planet itself. The planet shouldn’t be in peril the way it is. We have grievances about all the people who we think put it in peril this way There seem to be so many limitations here in this physical world that we have so many grievances about, but A Course In Miracles says, “Do not despair, then, because of limitations. It is your function to escape from them, but not to be without them.” (Mn.Or.Ed.26.4) Our limitations are supposed to empower us. They empower us to overcome them. We’re not here to be without those limitations. All of that takes great courage. In the closing of Barack Obama’s speech he made a call for courage. He said, “Let it be said by our children’s children that when we were tested we refused to let this journey end, that we did not turn back nor did we falter; and with eyes fixed on the horizon and God’s grace upon us, we carried forth that great gift of freedom and delivered it safely to future generations.” That was a call to carry on, to have courage, to have faith, to move forward and to bring the message of freedom to future generations. I like how he called upon God’s grace. If you look up “grace” in the dictionary you see that it can definitely be associated with a divine quality. The dictionary said, “... beneficence or generosity shown by God to man.” Grace is beneficent; it’s generous. It is a generous blessing God gives to man. However, it is also the generous blessing and beneficence we can give to each other. When we are graceful to each other we are giving everybody this gift of beneficence and generosity. There are times in my life when I am able to do that. There are also times in my life when fear and anger get the better of me and I have not been as “grace-full” as I could have been. Whenever I am in egoic fear or anger it sometimes causes an abruptness in my response and possibly even a crassness in my demeanor. That’s when I am holding the grievance. That’s when I feel I have a right to that abruptness and crassness. The shift in perception that is called for is the shift in perception to be graceful instead of being abrupt and crass. As I watched the inauguration that is one thing that did strike me. Here was a new President who was graceful. He had grace; he had dignity. He had poise. He was also a person who had the grace to let go of his own grievances. He has obviously let go of any grievance he might have had against Hillary Clinton. He was calling us to let go of the grievances we possible have with the previous administration. I think one of the most important things he said, he said right at the very beginning of his talk. It was actually his opening remark. It may have been the most important remark he made. He said this, “I thank President Bush for his service to our nation, as well as the generosity and cooperation he has shown throughout this transition.” That was a wonderful example of President Obama’s grace. He had no grievance toward President Bush. He was letting go of all of the negative ideas and just focusing on the good. He focused on the service. He focused on the generosity and the cooperation. He was demonstrating forgiveness. He was demonstrating letting go of grievances. A Course In Miracles says “Love holds no grievances.” (Wk.Or.Ed.68). We had a wonderful demonstration of a President who was holding no grievances and actually shifting his perception to what was good, beneficent, and cooperative about the former President. President Obama gave President Bush a blessing. I hope that many of us took that in. I am hoping that many people all over world took that in. We won’t have a miraculous shift in perception if we stay focused on the past. If we want a miraculous perception of the future it is time to let go of the past, to hold no grievance, to sit in the grace of God and the grace of our fellow human beings in this present moment of our lives. This article appeared in the January 2009 (Vol. 22 No.11) issue of Miracles Monthly . Miracles Monthly is published by Community Miracles Center in San Francisco, CA. CMC is supported solely by people just like you who: become CMC Supporting Members, Give Donations and Purchase Books and Products through us.